Congratulations to violinist Jonian-Ilias Kadesha, one of three artists to have been selected for representation by YCAT. 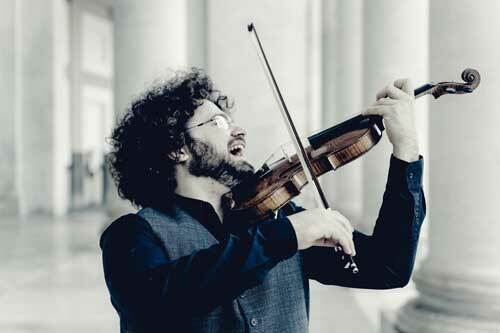 A member of Trio Gaspard, Junior Fellows in Chamber Music at Royal Northern College of Music Manchester, Jonian studied in Cremona, Würzburg and the Hochschule für Musik Hans Eisler in Berlin with Salvatore Accardo, Grigori Zhislin and Ulf Wallin. He is currently completing a Master’s at the Kronberg Academy with Antje Weithaas. Founded in 1984, YCAT is a charity that builds the careers of emerging classical artists. It’s unique in providing sustained, intensive guidance, bespoke artist management and prolonged care over a 3 – 5-year period. Numerous RNCM musicians have been selected for representation over the years, including pianist Alexandra Dariescu, mezzo-sopranos Kathryn Rudge and Helen Sherman, and cellist Philip Higham. This year, eight finalists were selected to perform at the final public auditions held at Wigmore Hall.